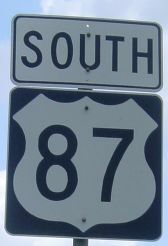 US 87 traverses the western edge of the hill country between Mason and Fredericksburg. 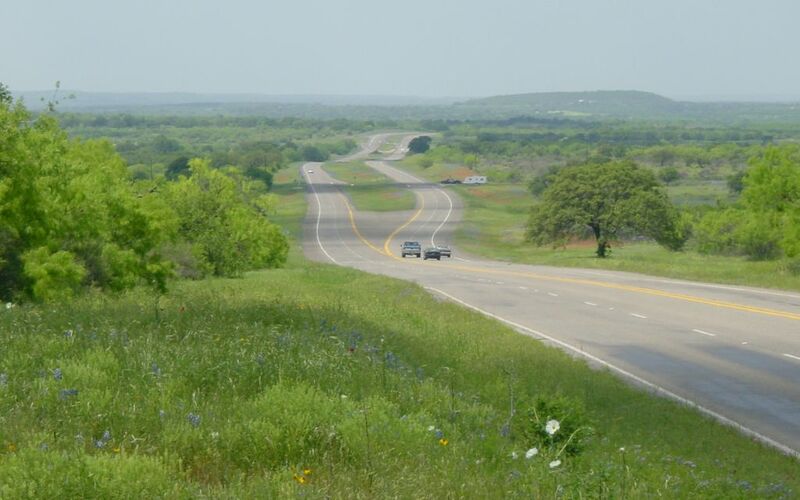 This region is characterized by low density scrub oak, brush, and pasture. In other words, perfect deer habitat. 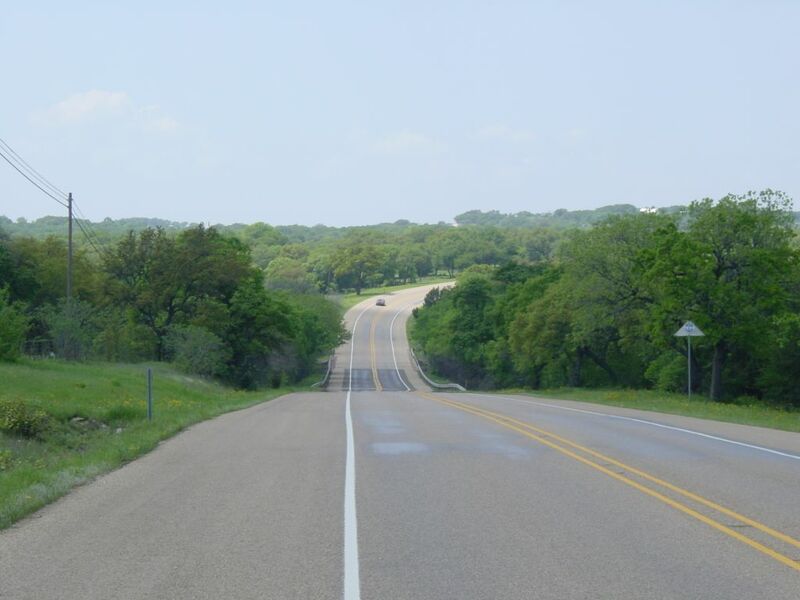 Llano and Mason counties are known as the deer hunting capital of Texas. (click for medium resolution 91k, high resolution 249k) A wide view shows the terrian just south of Mason. 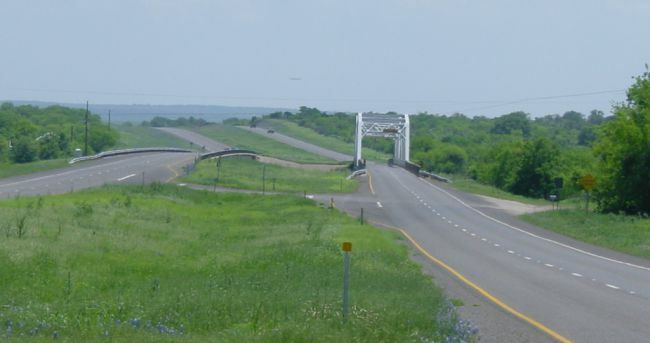 (click for medium resolution 62k) The crossing of the Llano River, just south of Mason. (click for medium resolution 75k) A view of the typical terrain in this area. 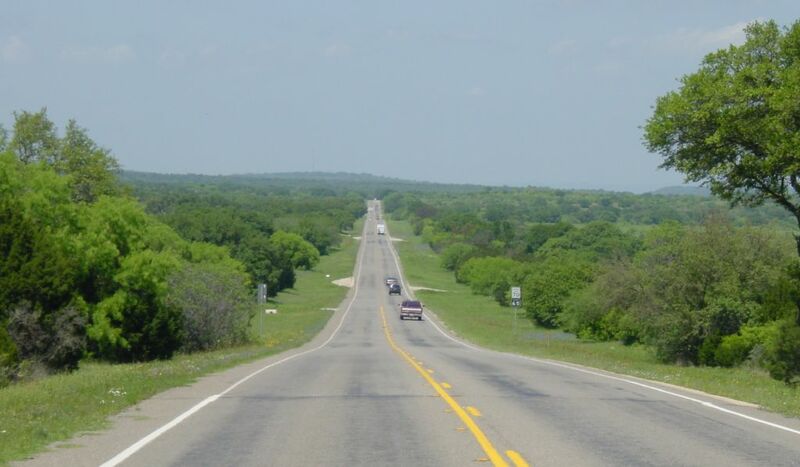 Rainfall is normally scarce, but in spring 2001, precipitation was above average, providing a lush landscape. (click for medium resolution 79k) A typical view.